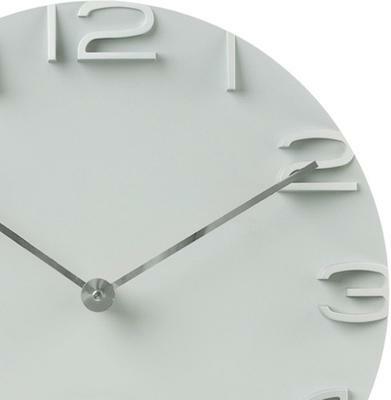 This Karlsson On the Edge Clock - White can create the perfect complementary piece regardless of your interior colours. 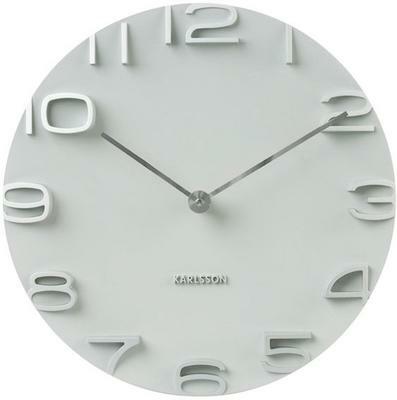 It is made with a bright white clock face that easily goes well with other items inside a room. It's also quite big so you can easily fill up an empty wall and have it as the focal point. It'll especially look great when matched with a darker or bolder colour. However, if you want to go white on white, then it's also perfect. The white clock face along with the bevelled numbers and the this clock hands make this a rather sophisticated timepiece to have. You'd love to place this inside your living room, bedroom or even inside your bathroom.